Choose your image and our artists will work with you to design your perfect sticker! Enter your code below to fetch your custom designed sticker art! Upload a jpg, png, eps, ai or pdf file. Select your size and quantity. Leave a note during checkout with any special instructions on how you want you sticker made. Our artist reviews your file and notes. 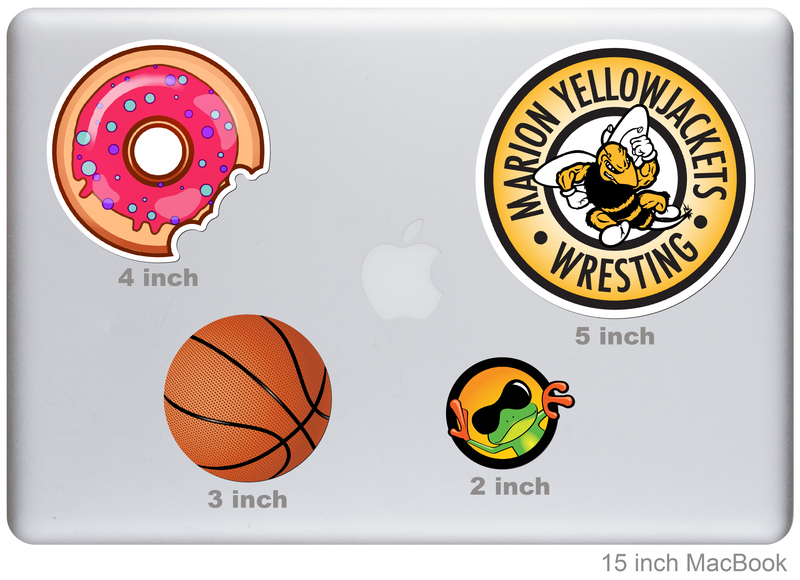 We will create a cutline, resize it proportionally and make any other tweaks needed to set up your perfect sticker. You will receive an emailed proof within 24 hours of submission. From here you can accept the proof as is or request futher changes. Orders are shipped free of charge within two business days of final approval, depending on the quantity. Some large orders may take an extra day. Need help deciding what size to get? Here is a general guide to help you pick your sticker size. If you have any questions please contact us!